It’s half term here in the UK and that means hungry kids who want something to eat *now*. Healthy-ish snacks that don’t rinse your bank account, are cheap and easy to smuggle into a cinema or pack into a picnic are what we all need. Using the leftover lard as the fat to make a bowl of home-made popcorn is a delicious and super cheap for you, me, EVERYBODY (sorry, went a bit ‘Blues Brothers’ there). An ex’s mum taught me how to make popcorn. The transformation from hard yellow seeds to soft and puffy creamy things *still* excites me. My ex would buy those pre-made tubs that you microwave yourself. “WHAT IS WRONG WITH YOU?! ALL THAT FAKE BUTTER? WHAT A WASTE OF MONEY!” and there would definitely be a tut, and there would possibly be a cuff around the ear. So, she taught me how. One kernel first, to make sure that the oil is at the correct heat. If you have a big, Asian/African supermarket near you, then you should be able to get a kilo for around £2.35; my 100g then costs me 24p. A supermarket 50g is around a quid so, not as good value but still masses better than anything ready-made. 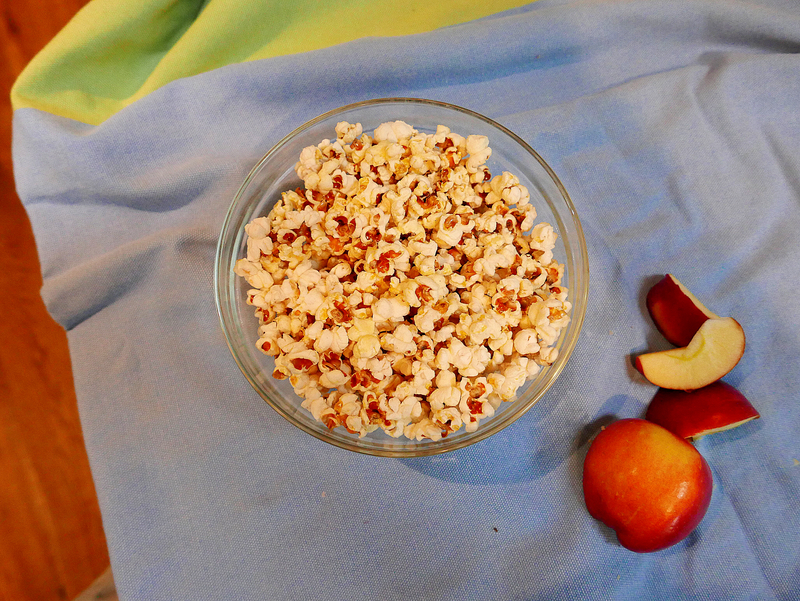 A tablespoon of fat, 100 grams of popping corn and cheap snacks are yours. I often make a batch during the week to add a small pot to my daughter’s packed lunch, which costs me all of 2p. Make sure that you’re ready to make your popcorn, with everything to hand, as it can burn ever so quickly. And it stinks. If you’re vegan or veggie, of course you can use a plant-based oil like ground nut or sunflower; olive oil will burn too quickly and, I think, isn’t the right flavour for popcorn. If you’re an omnivore then scoop out pennies worth of lard. 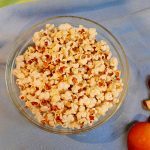 Get a movie, snuggle under a blanket with the kiddos and enjoy the umami flavour that using leftover lard or schmaltz and bring to a lovely big bowl of salty popcorn. 1/2 tablespoon sugar & salt optional! 1 large bowl for eating! Take the butter and swirl it around the hot popcorn pan; pour all over the popcorn, sprinkle with salt and butter and enjoy!